This award recognizes outstanding achievement in clinical research addressing health problems for older adults as evaluated by an investigator actively involved in direct care. The award takes into consideration independence of thought and originality in research. This award targets mid-career clinician-investigators actively involved in geriatric care who have accomplished meritorious clinical research and transitioned beyond the career-development stage of their work. The ideal candidate is an individual who has achieved the Associate Professor rank or has been awarded an RO1-type grant (or the equivalent). The award is not intended to recognize accomplishments in basic or animal research. 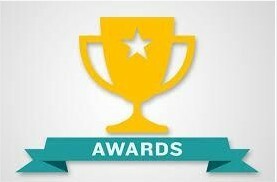 This award is designed to recognize particularly meritorious research accomplishments for those who can be considered independent investigators, but is not intended to recognize the most mature and experienced senior clinical investigators in the field. The candidate should be a resident of the United States or Canada. A primary letter of nomination outlining the candidate's research contributions and participation in geriatric care. A biosketch (NIH-style, 4 pages maximum) and mentoring table/summary. Reprints of up to three publications illustrating the nominee’s most important contributions to the field (at least one of these publications must be published in the Journal of the American Geriatrics Society (JAGS)). Up to two supporting letters of recommendation (limited to 1 page each). The nominee should continue to be engaged in the line of research for which the award is made. Nominations will be reviewed and the awardee selected by the AGS Research Committee. The name of the recipient will be announced in the Journal of the American Geriatrics Society. The recipient will be invited to present a lecture describing his/her most important research accomplishments at the AGS Annual Scientific Meeting and will be invited to submit a paper summarizing this work for potential publication in JAGS. The paper will be reviewed under the usual editorial policies of JAGS. $2,000 will be awarded to the recipient.